A gift card that can be redeemed on any box or subscription. Once claimed, you will receive a thoughtfully curated box of goodies with everything you need to enhance your practice with a moon ritual focused on a specific positive intention. 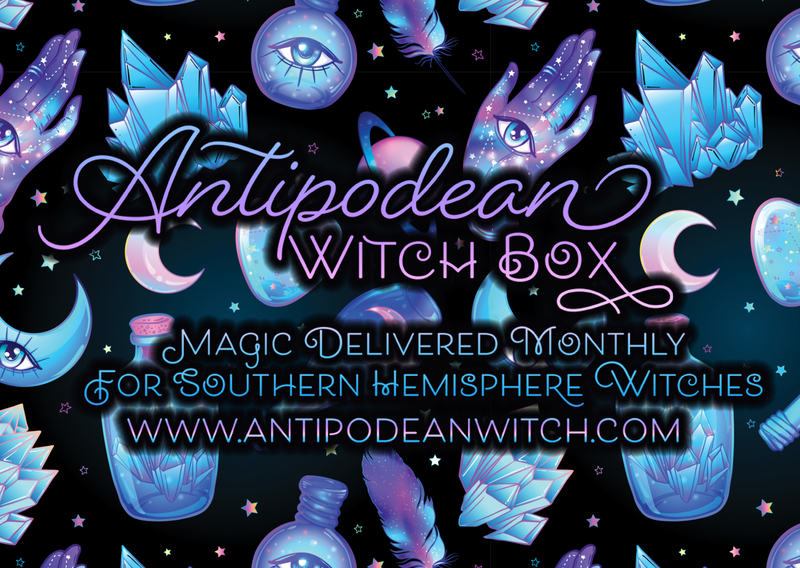 The theme of each box will align with the season and the full moon for the upcoming month, and is tailored specifically to the needs of Southern Hemisphere witches. - 10-20 items in a unified theme for the next month's moons. - Cruelty Free and worth at least $65 - Unique and exclusive handcrafted items in every box - Items include crystals, herbs, spell components, altar tools and much more..